With a stay at Alexander Cameron Suites in Penola, you'll be connected to a shopping center, just a 5-minute walk from Koonara Wines and 6 minutes by foot from Mary MacKillop Interpretive Centre. 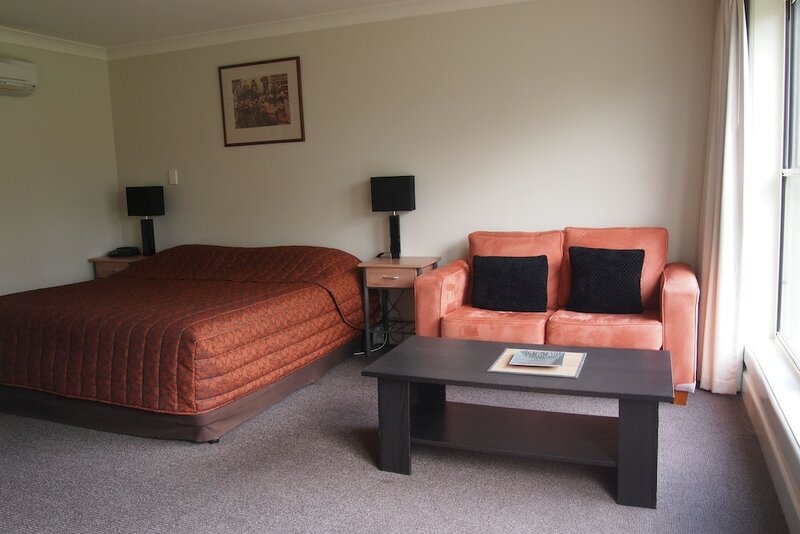 This 4-star motel is 1.4 mi (2.3 km) from Parker Coonawarra Estate and 1.9 mi (3.1 km) from Patrick of Coonawarra. Make yourself at home in one of the 18 air-conditioned rooms featuring kitchenettes. Complimentary wireless Internet access keeps you connected, and flat-screen televisions are provided for your entertainment. Conveniences include desks and refrigerators, and housekeeping is provided daily. Dip into one of the 2 spa tubs or enjoy other recreational amenities, which include bicycles to rent. Additional features at this motel include complimentary wireless Internet access, concierge services, and a picnic area. If you are planning to arrive after 8 PM please contact the property in advance using the information on the booking confirmation. Airport shuttle service is available on request during limited hours. Fees may apply. Contact the property in advance to make arrangements.